Did you know that worries are like tomatoes? No, you can’t eat them, but you can make them grow, simply by paying attention to them. If your worries have grown so big that they bother you almost every day, this book is for you. 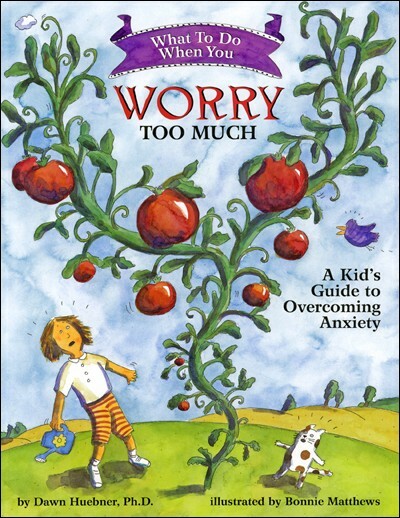 What to Do When You Worry Too Much is an interactive self-help book designed to guide 6 – 12 year olds and their parents through the cognitive-behavioral techniques most often used in the treatment of generalized anxiety. Metaphors and humorous illustrations make difficult concepts easy to understand, while prompts to draw and write help children to master new skills related to reducing anxiety. Engaging, encouraging, and easy to follow, this book educates, motivates, and empowers children to work towards change. Dr. Dawn Huebner has created a completely accessible, easy-to-understand book to show worrying children a new way of life. Kids will breathe a sigh of relief to learn solutions that really work. This book takes ideas that are overwhelming for a small child and presents them in manageable chunks. It is the first step to saying goodbye to anxiety! In a straightforward, clear, and warm tone, Dr. Huebner teaches parents and their children effective techniques for dealing with anxiety, based on well-established scientific principles. Families will almost certainly be able to find relief from the worries in their midst. An invaluable book for children and parents looking for practical ideas to try when worries start to get too much to handle. This particular book is outstanding. This book provides a child-friendly means of understanding how anxiety disorders grow. Cognitive and behavioral skills are presented in a gradual, friendly manner, which is invaluable for the anxious child. 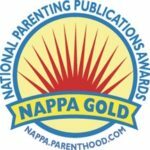 This book is a must-have for mental health professionals, teachers, guidance counselors, and parents of anxious children. A rare feat: a self-help book that bypasses jargon to become a terrific resource for kids. The title says it all really, what to do when you worry too much. Huebner gently explains that worries are normal and all kids have them. She uses humorous illustrations and metaphors to explain that if your worries have grown so big that they get out of hand and bother you almost every day, you might need some extra help.